BOOM! 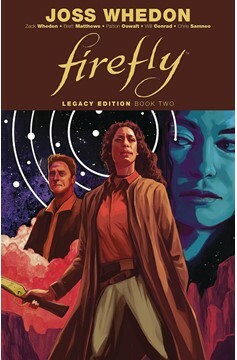 Studios presents the second of two Firefly Legacy Editions. 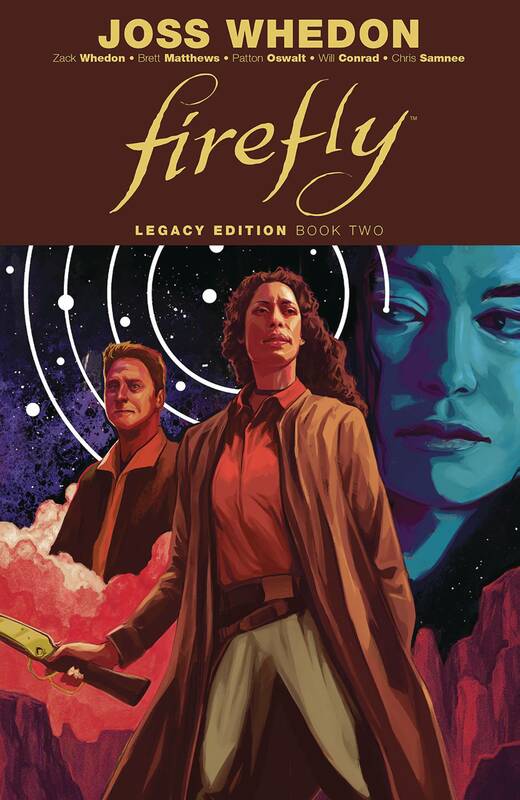 Collecting all previously released Serenity comics in an all-new value-priced format, no fan can afford to miss this official follow-up to Joss Whedon's (creator of Buffy the Vampire Slayer ) critically-acclaimed film Serenity , collected in one place for the first time! The 'Verse is on the brink of war, and Captain Mal and his crew are on the run from an old, unstoppable foe. With the crew scattered to the far ends of the 'Verse, it'll take quite a gamble to pull them back together . . . but when the chips are down, never bet against Captain Malcolm Reynolds! Collects Leaves on the Wind #1-6, 'The Warrior and the Wind' from Dark Horse FCBD 2016, and No Power in the 'Verse #1-6..